To check your unit’s start date, log in to your family account dashboard here. The details of your units will be listed on the homepage after you log in. Some start dates may still be TBD at this time. Our volunteers and staff are working to finalize logistics for each unit and will post start dates as soon as they become available. If your start dates are not posted yet, check again in late August or early September. Guiding provides a safe, all-girl environment that invites girls to challenge themselves, find their voice, meet new friends, have fun and make a difference in the world. Discover everything our new girl program has to offer! Girls First is GGC’s new girl program. It’s designed to put each girl in the driver’s seat of her own Guiding experience. Our girl-driven approach allows girls to try new things and explore what matters to them in a girl-only, safe space. 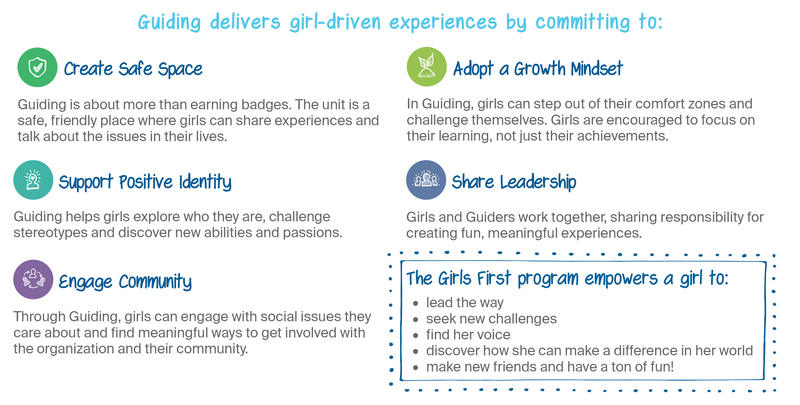 Girl Guide programs are now online! Girls now have access to an online platform where they can browse through all their Guiding activities. Now you can view her profile (and her badges!) and stay informed about upcoming meetings on Girls First. Use her iMIS ID to register today. 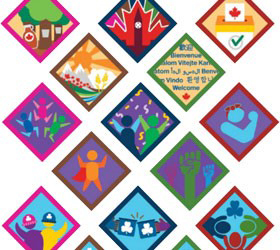 There are five branches in the Girl Guide program: Sparks, Brownies, Guides, Pathfinders and Rangers. While they’re all focused on building confidence and community connections, each branch uses different activities to communicate these goals. Furthermore, Rangers can now log in to Member Zone to access resources that will help them build their leadership and planning skills. There are many opportunities in Guiding offered by provincial councils and local communities. Events, activities and awards are all organized by various groups throughout the year. Visit your provincial website to see what’s available now. 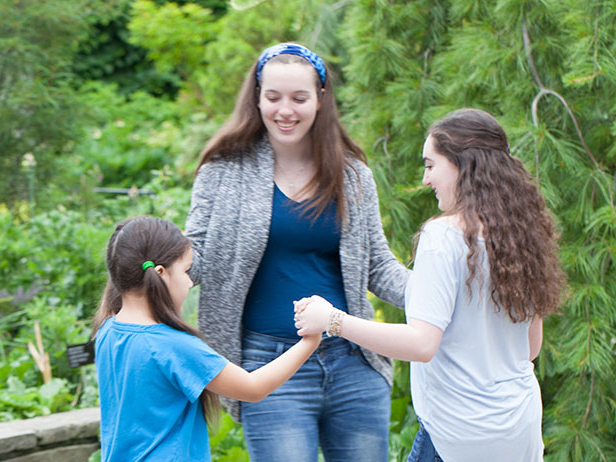 Did you know that Girl Guide units are run by volunteers? Guiders are the women that organize unit meetings, plan community service events and encourage each girl to be everything she wants to be. They are the catalysts that facilitate Girl Guide's innovative program, Girls First. Do you have a question about what comes after registering? Our team members are happy to help.